Will you become a friend of your local play area and its play equipment? The play area on Normandie Close is threatened with closure and others are set to lose equipment as Shropshire Council budgets cuts bite. Friars Close is will not be closed but the elephant is threatened. Most of Ludlow’s play areas are owned and managed by Shropshire Council. Although they are inspected regularly, they are showing growing signs of lack of investment. Yesterday, Councillor Viv Parry and I met up with Shropshire Council officers to inspect the play areas and discuss their future. For the most part, the ten play areas are in a fair to very good condition. But there are problems with ageing equipment and with the deteriorating wet-pour and rubber tile play surfaces that surround swings and rides. Shropshire Council will repair these in coming months. Much of the equipment needs painting. That will be undertaken by the Probation Service. Residents on Friars Field are fearful that their play area is threatened with closure. 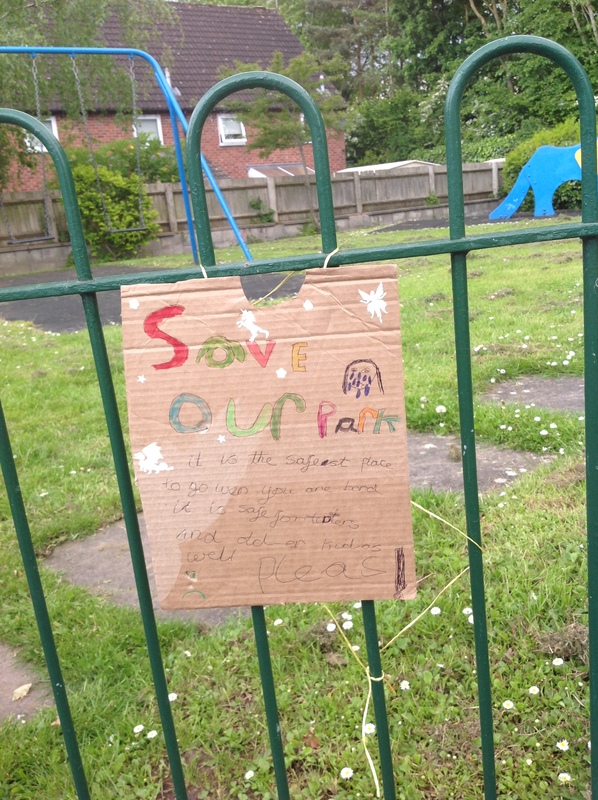 We arrived at the site to find children’s posters strung along the fence, pleading for the site to be saved. That was a good move. We established that this play area is not under threat of closure but it may lose its elephant slide. The woodwork supporting the slide is rotting. It will need repair and continued maintenance. This is a fine piece of play equipment. We believe that every effort should be made to repair and keep it. The alternative is to replace the elephant slide with a natural play area of rocks and logs. The Normandie Close play area is in a poor state. 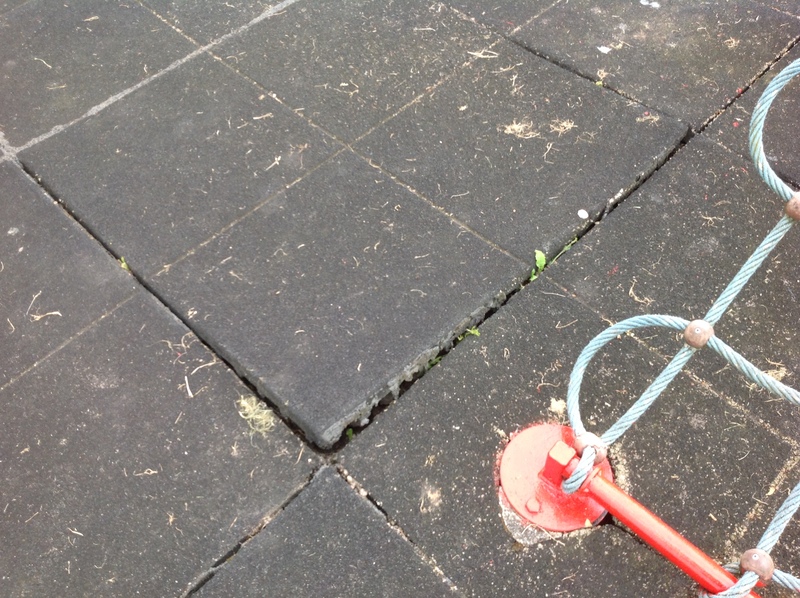 It regularly floods and two of the play surfaces are dilapidated. One of the pieces of play equipment (a rocking elephant?) has been removed and not replaced. The council is minded to close this play area and grass it over. We are opposing this. The play area that is popular despite its condition. We believe that retention of the swings, installation of a small natural play area and better drainage would make this site an asset for the community. Beer bottles and other litter have been a particular problem at the Parys Road play area. These have been cleared but there is a need for police patrols to limit this recurring problem. Antisocial behaviour is also a problem at Hopton Close. The swings are to be removed to see if this reduces the problem. The future of most of our play areas is secure in the short term. I worry about the longer term. Shropshire Council is implementing swingeing cuts to its budget. It’s becoming a council that commissions, or simply offloads, responsibilities. It’s a council that’s politically blind to the needs of young people, as we have seen with the Youth Centre. I am not sure that our play areas are safe in its hands. That’s why we need friends for our play areas and our elephants. 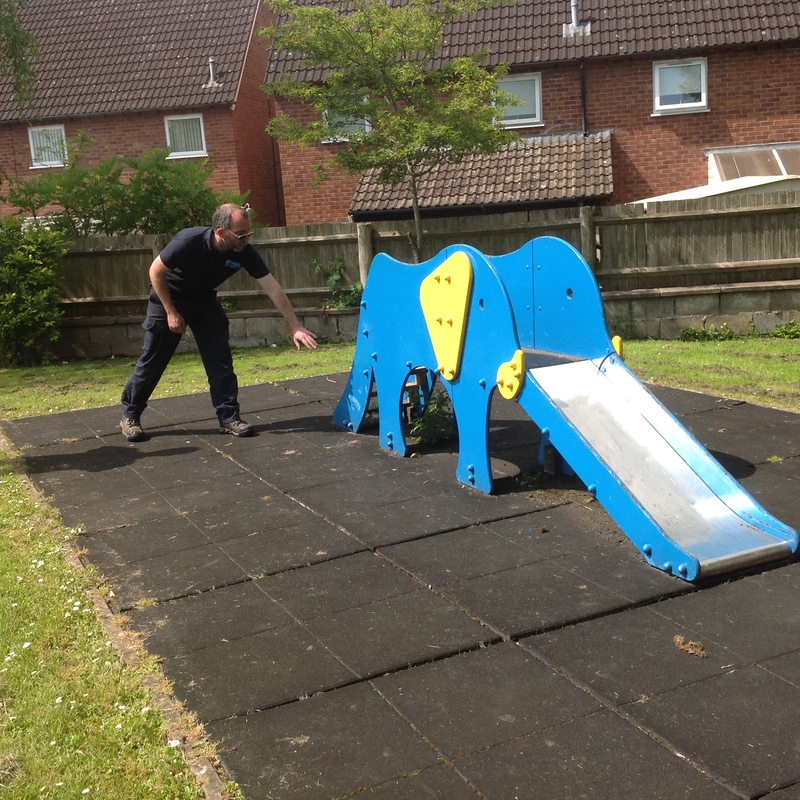 If each play area had a friend’s group, they could help keep in clean and in good order in collaboration with Shropshire Council or the town council. 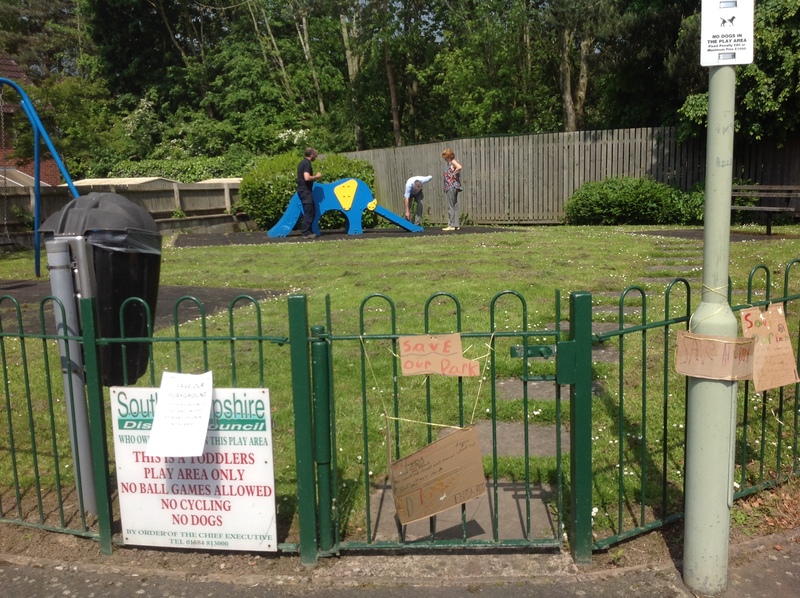 A friends group would also demonstrate how much our communities care about their local play area. Linney Park, Houseman Crescent and Wheeler Park play areas are owned and maintained by Ludlow Town Council. All are well kept, though litter is often a problem and there is occasional anti-social behaviour.